Are you tired of feeling bloated and having to unbutton your pants after every meal? Dr Oz talked with three women who shared your biggest bloating complaints, and now he is revealing the solutions you can implement to reduce your bloating symptoms. Find out what to look for in a probiotic yogurt and get free Schiff Digestive Advantage supplements from Dr Oz. Just saw your show! This looks great! always full of gas and pain. just saw your show. Always full of gas. My daughter needs this, I will pass this to her. Thank You! Luv to try these probiotics! Luv to try these probiotics…watch dr oz all the time! I would like to give this a try to whittle away my expanding waist!! I have had a problem with bloating since childhood, I even saw a doctor for it once. I try to work fiber into my diet, yet no matter what I have bloating. I would love to try this product. I would be so happy to try this product for bloating. After I eat it starts. Thank yoy. I suffer from bloating daily. I would appreciate receiving Free Schiff Digestive Advantage Probiotic Supplement. Thank you. Would be thrilled to use this product.Have been wondering if pro-biotics woud help my bloating for sometime now. have lots of uncomfortable gas,would like to use ,atleast on a trial basis. Sounds great. I’d love to try. Hope this would help my problem. Anxious to try it. Your web site is very frustrating. My wife and I have tried unsuccessfully to figure out how to get the free schiff probiotic supplements offered by the dr oz show yesterday. The website says it will be available today at 3:00 PM eastern time zone. It is two hours past that time and we can’t find the offer. There are links leading you to “it”, but they don’t go there. I also have been looking on the site for the chance at the Schiff Probiotic supplement offer. need free schiff digestive advantage probiotic sup. I suffer from digestive and bloating. I lost my husband and since that it has really fired up inside and I suffer inside with terrible bloating and digestion. I would love to try Schiff Digestive Advantage Probiotic Supplement offer! I suffer from bloating after drinking milk even one can of soda every three months. it does not stop right there things like milk, bread, cheese. I have avery hard time digestion my food for hours after hours. I would love to try Digestive Advantage Supplement offer! thank You! I would love to try this I bloat after I eat and have IBS. I need this, have diverticulitus. iwould like to try. 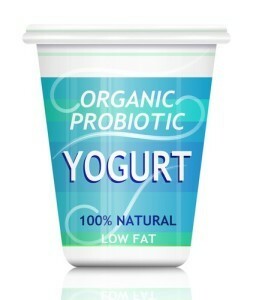 Usually have symptom of lots of bloating & gas; Lessens with I use probiotics in yogurt drink. Would like to try other probiotic sources, particularly, when milk intolerance interferes with using yogurt drink. my son has been sick for the last 17 years. Drs. have said it is allergy pancreitatis, IBS gluten intolerance etc. We have tried everything to no avail . If there is a product that could change his life he is willing to try it. I would love to try this for him! my son has been sick for the last 17 years. He was diagnosed with diverticulitis , allergy, IBS, and gluten intolerance. He has done everything the Drs. have suggested. He need his life back!! Could he please try this product? My daughter struggles with digestive problems. She has not found relief. Sometimes she gets nausea due to her problems. This product sounds like it can give her some relief, I would love to give her this to try. WHERE CAN I GET THIS Schiff Digestive Advantage Probiotic Supplement . WHAT STORE AND HOW MUCH WILL IT COST ME?